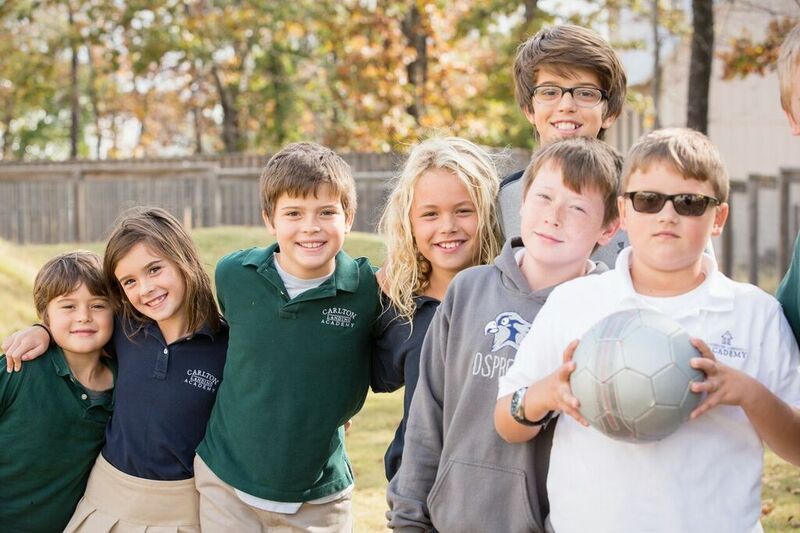 The Academy’s curriculum is selected and its educational program is designed around certain core values that promote whole-child development (intellectual, moral and physical). These core values are consistent with the Academy’s mission statement. Self-Discovery. Learning happens best with emotion, challenge and the requisite support. People discover their abilities, values, passions and responsibilities in situations that offer adventure and the unexpected. They must have tasks that require perseverance, fitness, craftsmanship, imagination, self-discipline and significant achievement. A primary job of the educator is to help students overcome their fear and discover they have more in them than they think. The Having of Wonderful Ideas. We teach so as to build on children’s curiosity about the world by creating learning situations that provide matter to think about, time to experiment, and time to make sense of what is observed. We foster a community where students’ and adults’ ideas are respected. The Responsibility for Learning. Learning is both a personal, individually specific process of discovery and a social activity. Each of us learns within and for ourselves and as a part of a group. Every aspect of a school must encourage children, young people, and adults to become increasingly responsible for directing their own personal and collective learning. Empathy and Caring. Learning is fostered best in small groups where there is trust, sustained caring and mutual respect among all members of the learning community. Keep schools and learning groups small. Be sure there is a caring adult looking after the progress of each child. Arrange for the older students to mentor the younger ones. Success and Failure. All students must be assured a fair measure of success in learning in order to nurture the confidence and capacity to take risks and rise to increasingly difficult challenges. But it is also important to experience failure, to overcome negative inclinations, to prevail against adversity and to learn to turn disabilities into opportunities. Collaboration and Competition. We teach so as to join individual and group development so that the value of friendship, trust, and group endeavor is made manifest. We encourage students to compete, not against each other, but with their own personal best and with rigorous standards of excellence. Diversity and Inclusivity. Diversity and inclusivity in all groups dramatically increases richness of ideas, creative power, problem-solving ability, and acceptance of others. We encourage students to investigate, value and draw upon their own different histories, talents and resources together with those of other communities and cultures. We keep the schools and learning groups heterogeneous. The Natural World. A direct and respectful relationship with the natural world refreshes the human spirit and reveals the important lessons of recurring cycles and cause and effect. Students learn to become stewards of the earth and of the generations to come. Solitude and Reflection. Solitude, reflection, and silence replenish our energies and open our minds. We ensure students have time alone to explore their own thoughts, make their own connections and create their own ideas. We then give them opportunity to exchange their reflections with each other and with adults. Service and Compassion. We are relational beings who are designed to live in community with others. Fruitful community happens as we are strengthened by acts of consequential service to others. One of the Academy’s primary functions is to prepare its students with the attitudes and skills to learn from and be of service to others. DISCLAIMER: While our curriculum has been inspired by Expeditionary Learning, Carlton Landing Academy claims no official connection with Expeditionary Learning and is not considered an EL School.